​Business relocation requires a multitude of preparations and it cannot be done without a plan and professional help. Relocation is not just packing up the essentials in a box and dumping it at your new location. You have to ensure that expensive equipment is shipped only after proper packing; all the confidential documents should be properly secured or destroyed before moving. You have to take a lot of precautions while relocating your business. Otherwise, you will misplace important documents or incur damages to expensive equipment. Not hiring a professional may actually end up costing you more in terms of huge losses that you will suffer. So, let the professional office movers Melbourne, handle it for you. ​We are the most reliable and experienced business relocation service. As professional office removalists Melbourne , we can tell you that there is a world of difference between our services and amateur packing. It’s about smart packing and carefully securing every item with the help of specialized tools, so that nothing gets damaged during the transit. Moreover, there are certain things, especially heavy items, which people usually don’t know how to pack. Improper packaging simply ends up damaging valuable equipment, leave a few important things behind, or cause some other problems, which will prove catastrophic for the business itself. 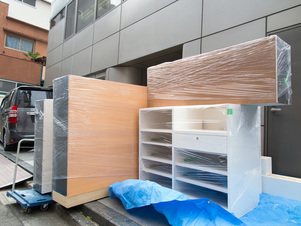 Being the commercial removalists, we start with pre-planning the entire process. This includes deciding the mode of transport for shifting, management of heavy equipment, type of packaging material required to move from one place to another, and so on. Why you should choose Office relocations? 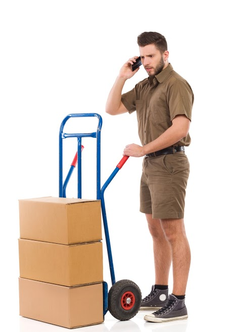 ​We are known as the best office removalists Dandenong for a reason. When you have finally made the decision to shift, leave all your business moving worries to us, and concentrate on your primary business. Proper planning is a must before undertaking office relocations Melbourne. Just inform us about all your typical needs and our team will make your shifting completely hassle-free and stress-free. Our planned approach ensures that your office gets back to its regular productive self as fast as possible. Our office service caters to businesses of all sizes. Our particular focus is on safely moving your heavy duty and expensive equipment, and securing confidential documents. At Melbourne Office Movers, we offer the best office moving services. 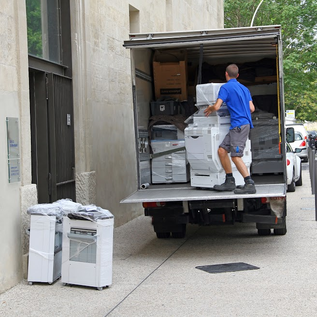 We deploy the best office removals Melbourne at your location at an affordable price. We offer competitively priced packages to cater to businesses of all sizes. Moreover, we make sure that you don’t end up with a damaged equipment after the move. We are known as office movers Melbourne eastern suburbs. Our team comprises of the best commercial removalist in Melbourne. Each of our clients swears by our services. We have skilled carpenters who know how to dismantle your office furniture such as desks, cabinets, drawers, shelves, lockers, tables, showcases, and chairs, among others quickly. Once your furniture reaches the new office, they will also put them back together perfectly. Our technicians take care of uninstalling your electronic devices such as printers, computer, telephones, servers, UPS, routers, scanners, photocopy machines, television screens, and so on. We also have skilled electrical experts who know how to remove air conditioners, room heaters, water filters, coffee machines, fans, lights, micro-ovens, freezers, and other such appliances. Other members of the team pack the items as per the directions by the supervisors. They properly pack and mark each box in a systematic manner, so that the team members do not misplace or waste their time looking for them later. The boxes or crates are selected on the basis of the items to be packed. All of the things are packed snugly to prevent damage during transportation. We take special care in packing the electronics such as televisions, computers, laptops, air conditioners, scanners, printers, and so on. These appliances are packed in special boxes that have triple layered protection to protect them from road jerks and avoid any damage. Office Movers Dandenong caters to businesses operating in all industries and of all shapes, be it hospitals, libraries, schools, offices, factories, or some other type of business . We have custom designed packing cases for all kinds of equipment, to ensure their safe and secure transit. Apart from helping you with moving, we go out of our way to make sure that our clients have a great experience. On your request, our trained staff can fix your dismantled furniture quickly, so that you don’t have to hire a carpenter to fix your furniture items separately. We not only help you in shifting, but also guide you in disposing of your old and unusable furniture or equipment in the best resale value. This will also help you save money on moving heavy furniture, while you can buy brand new furniture for your new office. Before shifting, we inspect the new business location to check the conditions of the place and decide on the best equipment for making the shift. Further, we will guide you on what fixtures are worth carrying forward and what all will not fit in your new location. For instance, if you have a huge wall art at the entrance of your previous office, but the circumference is just too big in comparison to the door width of the new office, we will advise you to dispose the wall art. We will make sure you do not carry things which will not fit, as you are paying for their transit. We also take care that the most appropriate vehicles are used to move all your office belongings. If you are shifting your factory, then we will deploy heavy duty vehicles. On the other hand, if you are moving a small office, then we will use small office removalists Victoria Services. ​We have packing experts who are armed with the latest equipment ready to pack your office items perfectly, irrespective of their shape and size. We have developed a wide array of solutions to make sure that all your office property reaches your new location safely. Computers and screens are packaged and delivered through custom made computer trolleys. The trolleys are fully encased with layered protection for security of your machines and equipment. These trolleys are designed in such a way that no costly breakage is incurred by your business. All your crucial business documents are safely and securely sealed, and our seals are completely tamper proof and tightly fixed. For documents and papers, we use cardboard boxes and seals to avoid any business risk. If you are looking for furniture removalists Melbourne we recommend brilliance removalists. As per our clients, out of all the office moving companies, we are hands down the best . We record zero damage in most of our projects, and that is why our customers love us. They are happy, as they don’t have to incur extra charges and get to enjoy a hassle-free move at affordable prices. Well, we are happy because our clients are happy. You will easily find many companies who might offer a long list of services, but none offer services that are as professional, reliable, and as positively reviewed by clients as us. Using the right equipment and trained staff, we make sure that your business is relocated smoothly and safely, with no incidents. By the way, congratulations on your new office!